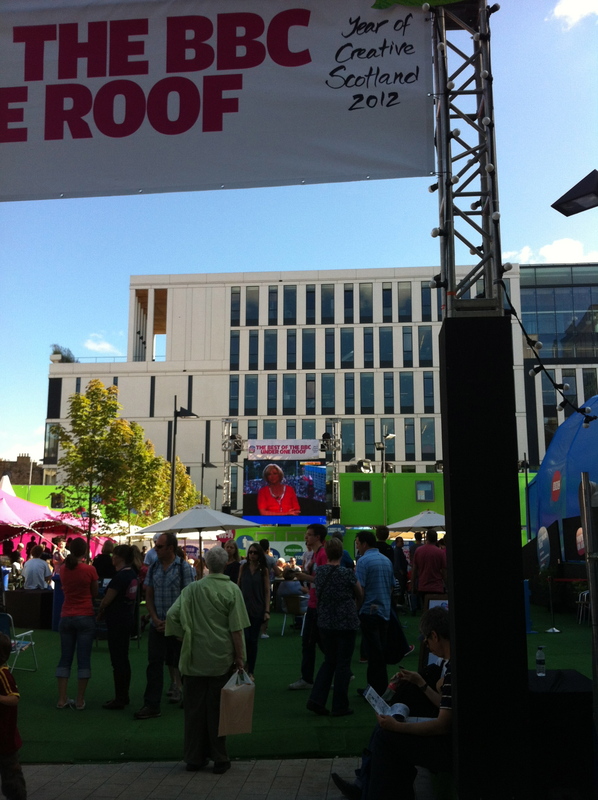 The sun is back in Edinburgh; today I enjoyed some unexplained opera singing from the BBC garden outside the office window. Then I met science fiction writer Hannu Rajaniemi for a cuppa and a chat about how stories-within-stories can be compared to mathematics. Hannu (along with Samuel Halliday) has just been awarded an Alt-w production award (congrats!) to develop a project using data visualisation techniques to explore experience of insight when reading; in this instance, when reading a short story Hannu will write specially for the project. It sounds really exciting and I’m looking forward to seeing how it turns out. Hannu also managed to explain the Halting problem for me in a way which made a lot more sense than anything I’ve read about it so far. Today I also had the pleasure of writing my report for the Arts Trust for Scotland, who gave me a grant that enabled me to attend the Accredited Training in Coaching Skills for Writers course run by the National Association of Writers in Education (NAWE) in association with the Arvon Foundation in June and July. The course was run to a very high professional standard and was seismically perception shifting (‘life-changing’ seemed too trite a thing to write…). My only regret is that I didn’t do the course last summer, before starting this residency. I’d highly recommend it to other writers, both in terms of expanding/clarifying your skills and also from the personal/professional benefits of being coached. Incidentally, the next deadline for funding from the Arts Trust is noon on 16 August.